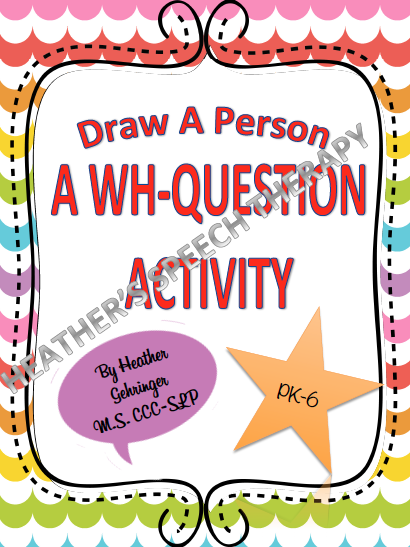 This fun and creative drawing game and activity is perfect for teaching and reinforcing wh-question comprehension! Language comprehension can be difficult for some of our speech kids. 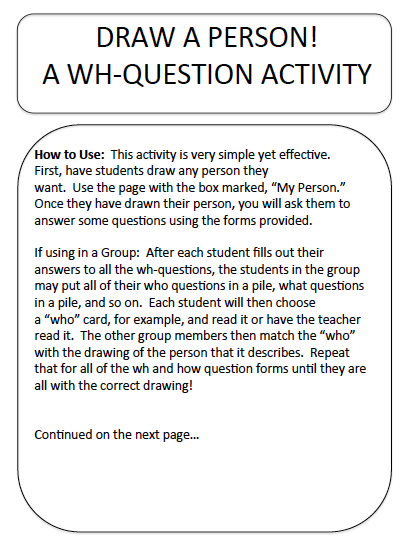 Use this fun and simple activity to help teach wh-questions within a fun and creative drawing game! This activity is very simple yet effective. First, have students draw any person they want. 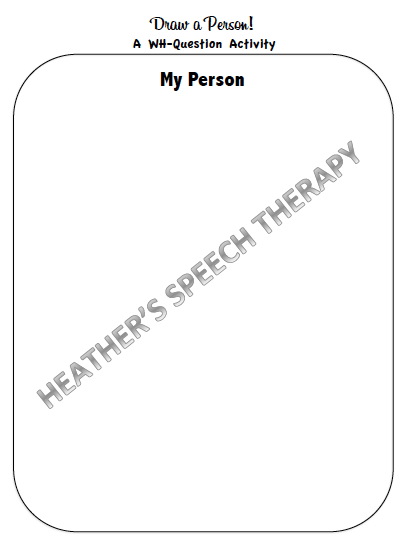 Use the page with the box marked, “My Person.” Once they have drawn their person, you will ask them to answer some questions using the forms provided. read it. The other group members then match the “who” with the drawing of the person that it describes. Repeat that for all of the wh and how question forms until they are all with the correct drawing! You can tape the drawings up on the white board as you do this or just match them on the table in front of you. You could also spread this out on floor and do it. 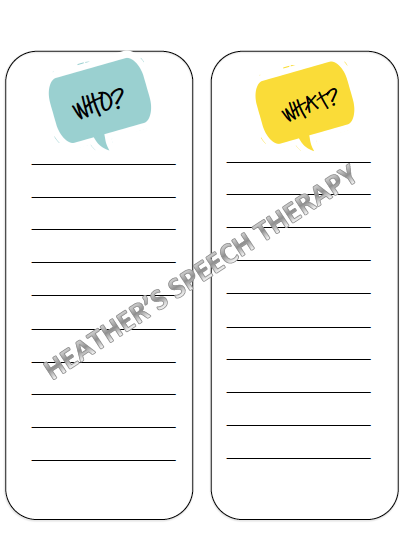 You are able to adapt this lesson and use it to collect baseline data on what your student knows, use it as a teaching tool and assist as you go, or use it to measure progress after the student has already been taught what the various wh-questions are asking. (i.e. I like to explain them as: who = people, what= things, Where = place, when = time, why = reason, how = describes). 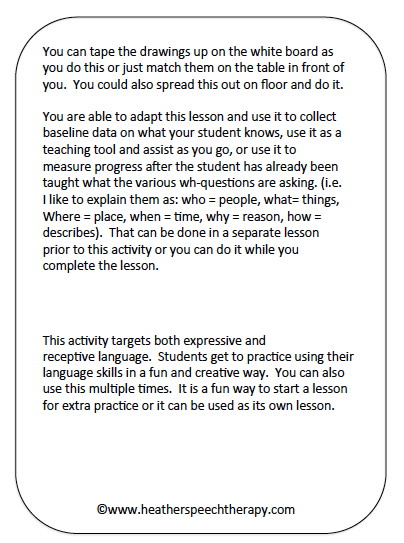 That can be done in a separate lesson prior to this activity or you can do it while you complete the lesson. 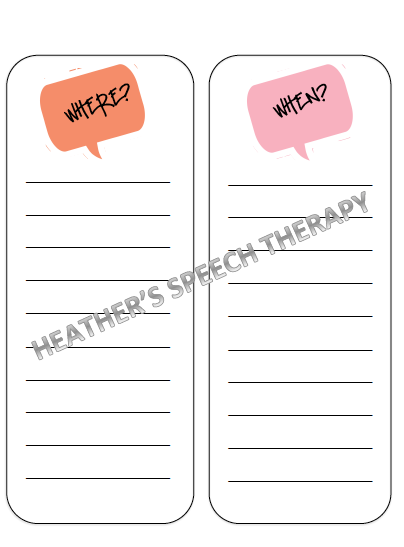 This activity targets both expressive and receptive language. 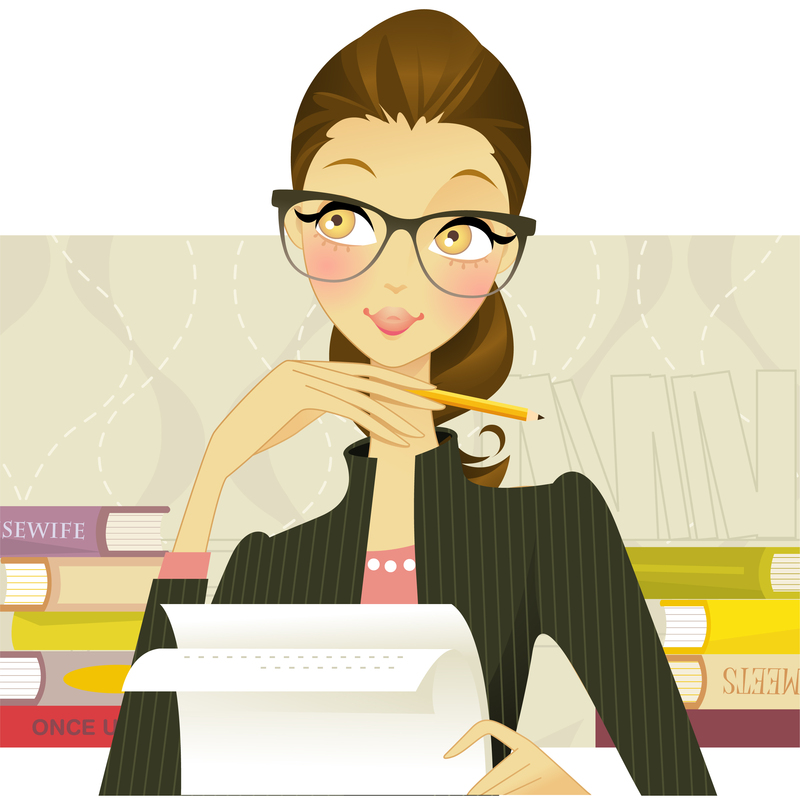 Students get to practice using their language skills in a fun and creative way. You can also use this multiple times. 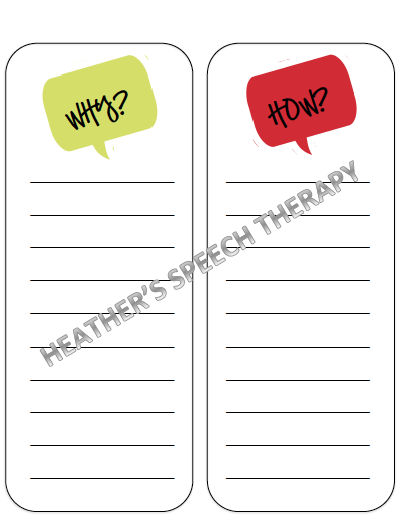 It is a fun way to start a lesson for extra practice or it can be used as its own lesson.